Kau tahu, kenapa orang menikah selalu mendapat ucapan “Selamat Menempuh Hidup Baru”? Karena mereka harus meninggalkan orang-orang yang pernah mereka cintai di masa lalu. Perjanjian konyol itu merusak semua cita dan anganku. Sungguh, tak pernah aku bermimpi akan bersanding denganmu di pelaminan. Ditambah lagi menghabiskan hidup hingga tua bersamamu. Bagiku, kau tidak lebih dari sekadar sahabat yang sangat baik, yang setia menjadi pendengar kisah suka dukaku, yang punya bahu kuat untuk kusandarkan kepalaku dengan mata sembab karena tangis, dan yang selalu menjadi penyemangat untukku jalani hidup. Haruskah aku seorang Halya menyerah pada fakta? Seperti katamu, sahabatku Raka .... Komitmen itu seharusnya dipertahankan, bukan dilepaskan. Tapi yakinkah juga dirimu, kita akan sanggup bertahan? Hari ini juga aku ikut meramaikan. Hitung hitung percobaan menggunakan aplikasi blogger. Sebenarnya sudah ada yang lama. Tapi gak donlot di playstore karena keterbatasan memory. Tapi Andromeda tab aku tercinta karena dia milikku satu satunya, sedang pusing menghitung memory yang dia miliki. Aku mendesaknya untuk mendonlot Blogger via playstore dan ternyata mau. Yah, setidaknya yang ini berjalan baik. Yang lama kampret luat biasa XD Mungkin ada data yang rusak saat di donlot. Maklum juga sih. Bukan dari tempat resmi. When I heard about this sequel, I'm so happy because I love the story. I waited to read this book for a years. Before i got the book at 2014, I'm afraid I will never read it. 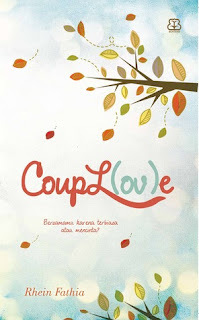 Because this book didn't translated to Indonesia language, yet. I don't know how to buy it at online bookshop who ship international because I don't have a credit card. And it expensive for me to buy it in local bookstore. A year later for the first time, I won an International Giveaway \(^_^)/ Thanks a lot Michelle @ Michelle Chew Writes :* Because I'm feel amazing, I don't know what will i choose. 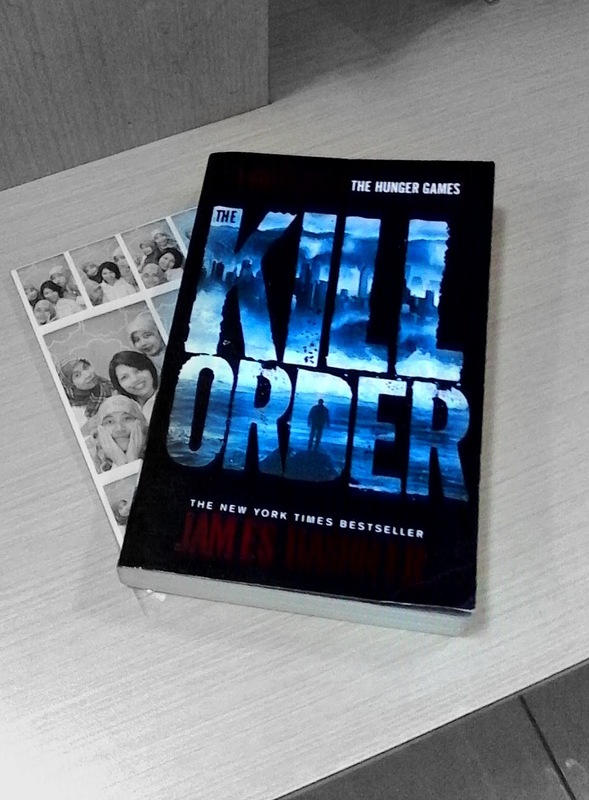 But my bestie mas Jun @ Story Eater Tales suggested me to request The Kill Order. At 2014 I got the book that I'm waiting for. For the book that I'm waiting for a long time to have and read, I'm disappointed. Mark and Trina save from Sun Flares. The first time I heard their name, I think they are Thomas's Parents. But they are not. Because they just a teenage boy and girl. And they are not get married after Sun Flares destroy everything. I mean not everything. They are still live and people too. But most of citizen is burned and death. But Mark and Trina met the little girl. Her name is Dee Dee. I can't understand why it can be happened. People die but Dee Dee is save and sound. 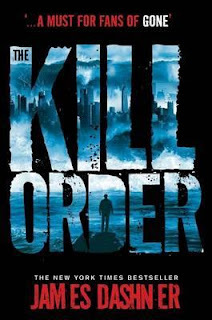 The next thing that happen is The Kill Order. Berg is coming with five-inch-long dart that shoot to whoever can be target. Confused? Of course, because they thinked Berg came to send some help. But the fact is they come to kill, like they need more people to die. One of Mark's friends is shouted. They tried to save him while Mark and Alec tried to enter the Berg. Matk leave Trinda for find information about what really happened to them and ready to die for. I think Mark and Alec is brave. But stupid in the same time. They can run to be protected but they came to something that wnat they die. But they got a bit information about Post Flare Coalition. Bit, not much. This book is full of Mark and Trina's adventure. I can say that James tells it with detail. So clear. Detail makes me like the series. But this book doesn't tell what i wanna want to read. Want to know what I want? I eant James Dashner tell me about Wicked. Use Wicked's POV and tlel what happen from the other side. 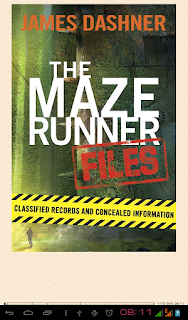 In the Maze Runner Trilogy, we read from Thomas's POV. from Galder's POV. Like what Teresa says to us. Wicked is good. But what makes Wicked is good? This story is telling what happened 13 years before Thomas send to Glade. So before i read the book, I think James Dashner will tell me how Wicked was build. Big part of the story tell about sacrifice to keep alive. James Dashner used Mark's dreams to tell the flashback when the sun flare came. The timeline never makes me confuse about time. I know exactly what happened in the past and what happened in this time. I talk about it with my cousin about the flashback. Mark's dream is like come to be continue. It is imposible. I never dream about something that cut in last night and continue in another night. Though Mark's dream is what happened to him in the past. But though I can't believe it, I like it. At least this book told about Flare. Virus VC321xb47 is mean for kill people. What make me think hard is this virus gives a different effect to different person. Is the virus change? I don't know. But some people die for the second, some people life for couple weeks. And some person is immune! How it could be? People die and some person is fine? Curious? Me too. Who is immune is Dee Dee. A Little girl feel nothing. Mark and friends save her. People leaved her because they think Dee Dee is abnormal because she is not sick at all. You know who is she? Yes you are. Dee Dee is Teresa Agnes. But you can feel regret that Mark and Trina didn't meet Thomas. So what can Teresa and Thomas go to Glade? No one know except James Dasner. This book didn't mention about Wicked. Back to Flare. After years, Flare still life and infected everyone with easy way. Maybe it a reason why Wicked was build to. Wicked is good, isn't it? 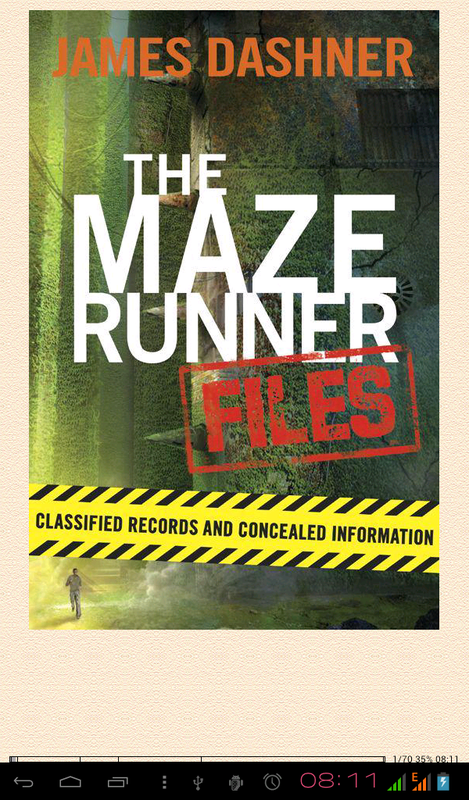 I hope I will get more detail about Wicked and Flare in the ebook The Maze Runner Files. I hope 70 pages is enough. But James Dashner have one more book that will release September this year. I hope i will not waiting for a long time. I hope Fever Code will raise after Kill Order made me free fall. 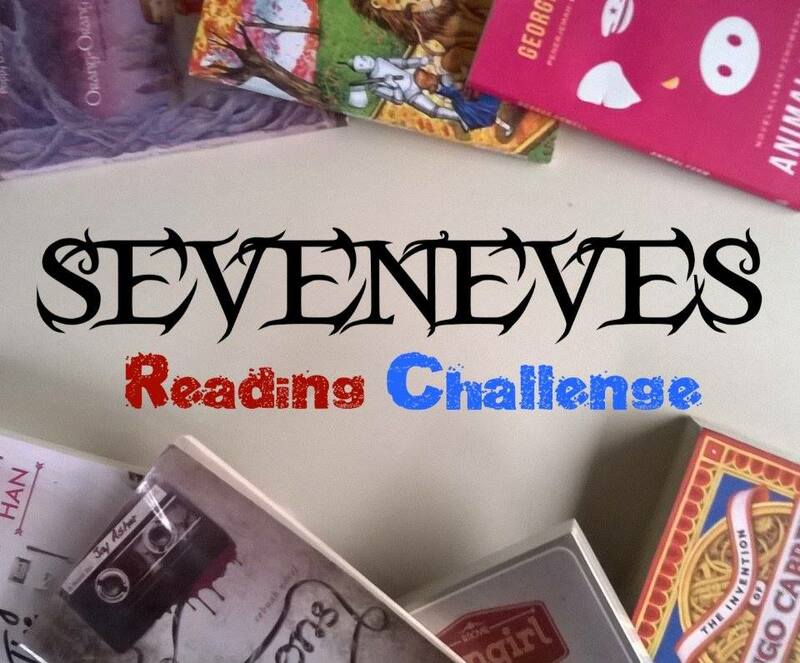 Setelah dua tahun eh tiga tahun gagal membabat timbunan yang makin lama justru terlihat makin banyak bukan makin sedikit, kami (iya kami) membuat reading challenge sendiri agar memiliki deadline yang lebih ketat. 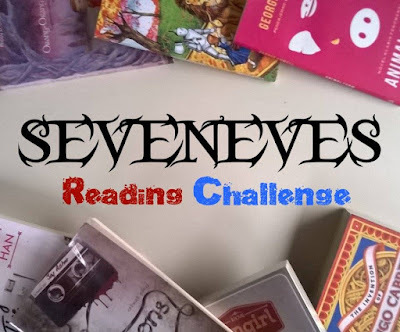 Tapi kami tidak akan berdua saja dalam menaklukan Sevenes Reading Challenge ini. R. Maryana @ Ryana's Locker dan Jun @ Story Eater Tales mengajakmu untuk ikut berperang menaklukan tantangan yang kami berikan. Kisah-Kisah Beedle Si Juru Cerita menceritakan lima dongeng beragam, dengan karakter magisnya masing-masing, yang akan menghadirkan kegembiraan, tawa, Dan ketegangan bagi para pembaca. Catatan tambahan untuk setiap cerita yang ditulis langsung oleh Professor Albus Dumbledore pasti akan dinikmati semua orang, baik Muggle ataupun kalangan penyihir. Seperti biasa Professor Dumbledore membahas pelajaran-pelajaran moral yang bisa didapat dari kisah-kisah ini, juga membocorkan sedikit informasi mengenai kehidupan di Hogwarts. 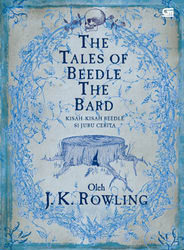 Ini adalah buku ajaib, lengkap dengan ilustrasi sang penulis sendiri, J. K Rowling. Kisah-kisahnya akan terus kausimpan dalam hati selama tahun-tahun mendatang.